We offer jump starts, lock outs, air delivery, tire changes, gas delivery, and also winching. Car, light truck, and motorcycle towing with flatbed or wheel lift trucks. Utility, boat, & travel trailers. Small and medium sized motorhomes also not a problem. Medium duty truck towing now available. Cabover trucks (Isuzu etc. ), 450 & 4500's, 550 & 5500's, and most 2 ton trucks. 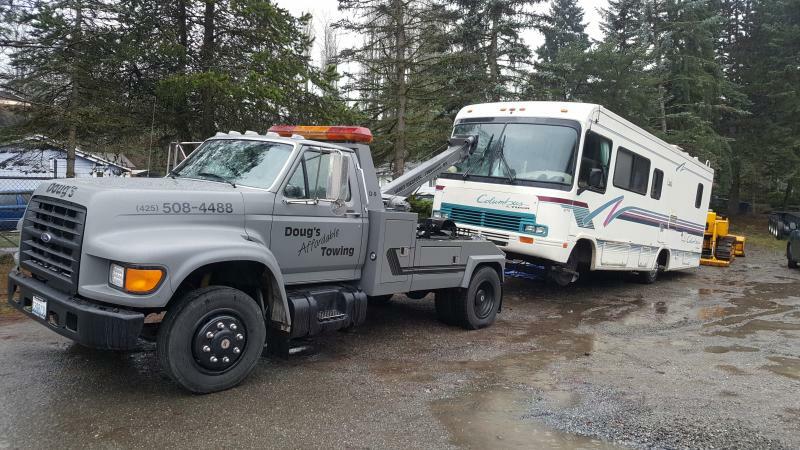 Copyright 2017 Doug's Affordable Towing. All rights reserved.